NEXT | Which Allied Race are you waiting for? We know astonishingly little about Bolvar Fordragon. In Battle for Azeroth we’re going to learn a little bit more, but this post is about what we currently know about Bolvar and his family line. Who are the Fordragons? What role have they played in the life of Stormwind and Humanity on Azeroth? 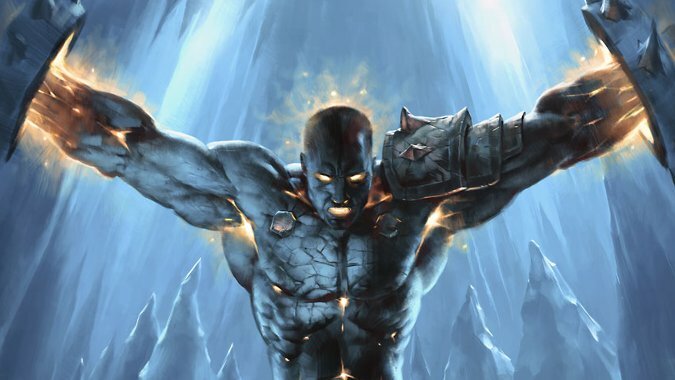 Why is becoming the Lich King a far more tragic fate than we could have imagined for Bolvar? There are extremely minor spoilers for Battle for Azeroth in this post. Specifically, one character’s family name and origin. If you don’t want those spoilers, read no further. We’re taught that the origin of the Paladins of the Silver Hand was in Archbishop Alonsus Faol, who chose five to be the original Paladins — Uther the Lightbringer, Turalyon, Tirion Fordring, Saiden Dathrohan, and Gavinrad. The Order of the Silver Hand came about because Archbishop Faol saw the Holy Order of Northshire Clerics devastated during the First War — because while many of the clerics could channel the Holy Light and heal others, they were not warriors. The Horde realized quickly that killing them would greatly hamper their enemies and sought them out in any engagement. Thus, the Order was created to train Warriors to wield the Light and Priests to wear armor and use weapons. But not all of the Holy Order needed Faol to tell them this. As many have pointed out, you don’t get a statue in Stormwind unless you’re either the King or dead. Sometimes both. So it’s fair to assume that Lady Mara Fordragon is deceased. But we don’t know how or when she died. We don’t know if she was actually a Paladin or not, and if she was we don’t know when she was inducted into the Order of the Silver Hand. What we do know is that she lived during the period of the First and Second War and that she was an important figure who in some way aided those that fled Stormwind for Lordaeron during the First War. But by looking at her statues in both Stormwind and the Paladin hall we can glean some things. First off, Mara Fordragon is armed and carrying a shield in both of them. That’s not a typical Priest thing to do — outside of the current King of Stormwind, not many Priests wield swords and wear armor. 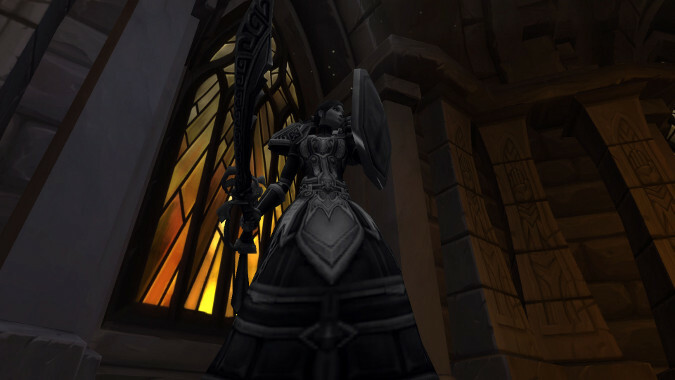 In her Paladin hall statue Mara is wearing Judgement, the Paladin armor set. She is depicted as a fighting woman in both, so it feels safe to say that even if she never lived to join the Order (perhaps she died on the way defending others) the people who created the Order saw her as one of them. A Priest who fought. A Warrior who prayed. Who was Mara Fordragon? Aside from her role as Stormwind’s High Clerist we know even less. It seems safe to assume she was native to Stormwind, that her family likely came south with the original colonists who founded the city hundreds of years before. Clearly she was someone who dared to face terrifying odds to protect others and left enough of an impression behind for not one but two memorials to her: one in Stormwind, the other below Light’s Hope Chapel. It seems extremely likely that Mara Fordragon was Bolvar Fordragon’s mother or close relative. I suppose it’s possible that Fordragon is Azeroth’s Smith and there are just loads of them walking around, but it seems unlikely — it’s an extremely distinctive surname. Furthermore, information we learn during Battle for Azeroth indicates a Lordaeron connection for Bolvar. Now, this isn’t surprising. 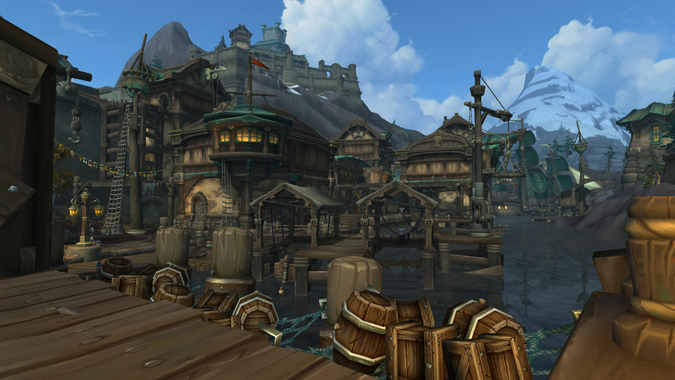 Almost everyone living in Stormwind after the First War has a Lordaeron connection — they were refugees forced to flee their burning city by the Horde, after all. But imagine if Lady Mara brought her own son to Lordaeron, if he witnessed her bravery and determination as she fought off Horde seeking to exterminate her people and defended those that were unable to fight for themselves. Imagine it would have affected him. Imagine how he would have felt as Lordaeron opened her gates to the refugees and provided them with a home, a safe haven after their entire world had been upended. These elements would go a long way towards explaining the Bolvar Fordragon we met in Stormwind in World of Warcraft. He’s a survivor of the Horde assault, a refugee who returned home to rebuild. 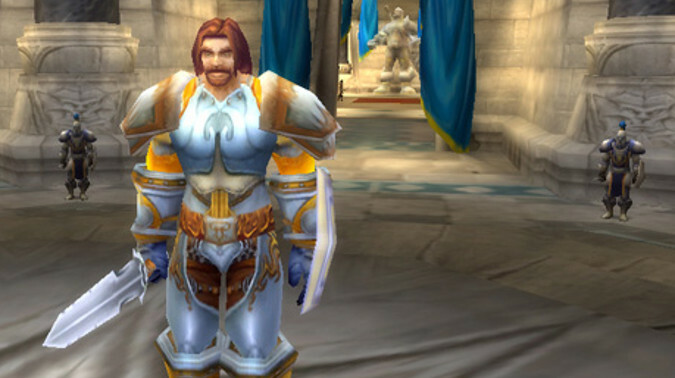 He would have had a heart in both Lordaeron and Stormwind and an example of service and honor to follow as he himself became a Paladin. In Battle for Azeroth we discover that Bolvar had a wife from Lordaeron and a daughter who he sent away to Kul Tiras once the Scourge happened. This opens as many questions as it answers — was Bolvar living in Lordaeron when the Third War started? Did this mean he was forced to lead survivors out of the plague-infested nation, battling demons and undead? Was he, in effect, taking the same journey as his mother from the opposite direction, fighting to protect refugees from destruction until they could reach the safe harbor of Stormwind? The introduction of Taelia Fordragon means that Bolvar lost more than his life when the Plague struck him at the Wrathgate. He lost any chance to reconnect with his daughter, the last legacy of his wife and himself. Now, presumed dead atop a throne of ice he can never truly be part of her world. It also means we have to ask — what happened to Bolvar’s wife? Did she die in the Scourge? Who was she? If, like many, she was later raised into undeath by the Plague, does she exist as a freethinking Forsaken now? Sylvanas is not above using such a bargaining chip against Bolvar, assuming he still has the capacity to love. So many unknowns. It’s past time we learned more about the Fordragon family.